The Google+ social network that Google introduced back in 2011 suffered a major data breach that Google opted not to disclose to the public, reports The Wall Street Journal. 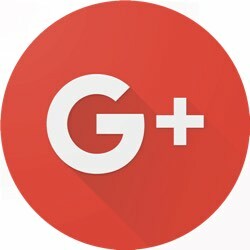 A Google+ software glitch provided outside developers with the ability to access private Google+ profile data from 2015 to March 2018. In the spring of this year, internal investigators discovered the issue and fixed it. The problem was caused by a bug in a Google+ API designed to let app developers access profile and contact information about the people who signed up to use their apps. Google found that Google+ was also allowing developers to access the data of users who had their profiles set to private. Up to 438 apps had access to customer data. In an internal memo, Google’s legal staff recommended against disclosing the bug because it would invite “immediate regulatory interest” and result in a comparison to Facebook’s Cambridge Analytica scandal. Data from hundreds of thousands of users was potentially accessible, but Google did not discover misuse of the data by outside developers. Exposed data included names, email addresses, birth dates, gender, profile photos, places lived, occupation, and relationship status. Phone numbers, email messages, timeline posts, and direct messages were not accessible. As a result of the breach, Google today announced that it is shutting down Google+ for consumers and introducing new privacy measures. According to Google, it put together a privacy task force called Project Strobe at the beginning of the year to review the company’s APIs. Buried in a long document describing all of the privacy changes being implemented, Google confirms that a Google+ bug made private Google+ content accessible to developers. Google explains that it did not opt to disclose information on the breach back in March because there was no evidence of misuse and no action a developer or user could take in response. Google is planning to shut down Google+ over a 10-month period, with the social network set to be sunset next August. In addition to shutting down Google+, Google is introducing several other privacy improvements. More granular controls will be provided for granting Google Account data to third-party apps, and Google is going to limit the number of apps that have access to consumer Gmail data. For Android users, Google will limit the apps able to access Call Log and SMS permissions on Android devices, and contact interaction data will no longer be available through the Android Contacts API. Google’s full list of privacy changes can be found in its new Project Strobe blog post.